The RailBlazers. Aluminum Railing system is designed with an emphasis on style, durability, and quality. Our patented railing system is engineered to be safe, DIY-friendly and easy to install. Made from powder-coated aluminum for low maintenance and lasting performance. Customize with standard or wide aluminum pickets, glass panels, decorative spacers, and more! Available in black and white. Get beautiful, PRO quality results for any deck, patio, or balcony.The Corner Fascia Mount Bracket securely anchors corner posts to the front fascia of the deck. It's perfect for maximizing deck space or for avoiding punctures on the top surface of your deck. The strong faceplate hides the hardware when installed resulting in a clean and professional look. All hardware is included. Step-by-step installation guides, videos and other resources are available to guide you through your installation. For use with: Corner Posts. Fascia mounting may be required by your local municipality. Please check building codes. The termination bracket is a CenFlex rail accessory. This bracket functions to terminate or anchor the end of a rail on an end or gate post. Simple design requires no wire stripping or special tools, making termination quick and easy. Floating Dock Hardware component manufactured from 5 Gauge (1/4") hot dip galvanized steel. Slot size is 9/16". 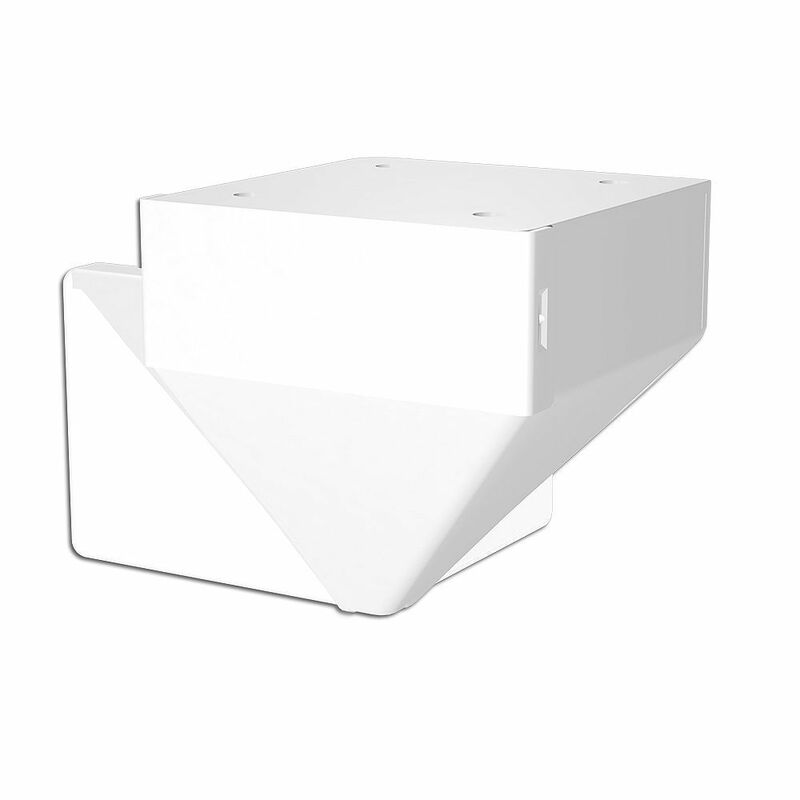 Use this Inside Corner for lighter duty applications where an outside corner is not necessary. Stationary Dock Hardware is 1/8" nominal Hot Dip Galvanized Steel with 7/16" holes for 3/8" carriage bolts. Corner Bracket used on the inside of the framework for added strength and aesthetics without being exposed. White Corner Fascia Mount Bracket The RailBlazers. Aluminum Railing system is designed with an emphasis on style, durability, and quality. Our patented railing system is engineered to be safe, DIY-friendly and easy to install. Made from powder-coated aluminum for low maintenance and lasting performance. Customize with standard or wide aluminum pickets, glass panels, decorative spacers, and more! Available in black and white. Get beautiful, PRO quality results for any deck, patio, or balcony.The Corner Fascia Mount Bracket securely anchors corner posts to the front fascia of the deck. It's perfect for maximizing deck space or for avoiding punctures on the top surface of your deck. The strong faceplate hides the hardware when installed resulting in a clean and professional look. All hardware is included. Step-by-step installation guides, videos and other resources are available to guide you through your installation. For use with: Corner Posts.